Eat your turkey Thursday, shop Friday, and keep shopping. This sale lasts through the holidays! If you've visited the Etsy shop recently, you would have noticed that the halls have been decked. Pink Scissors Design is dressed and ready for Christmas. Knowing that many of you are keen on the Black Friday and Cyber Monday sales - exclusive to those respective days of the week, I didn't want y'all to miss out on Pink Scissors Design Christmas Sale. A beautiful Jesse Tree Ornament set embellished with sequins and beads. Looks lovely on your tree! Custom Order your Jesse Tree Ornaments with sequins and beads today! Jesse Tree Ornaments have been very popular this year. Whether you celebrate Advent or not, Jesse Tree Ornaments are lovely decorations for your family tree. Advent begins end of November/beginning of December. If you are thinking of ordering Jesse Tree Ornaments, but know you will miss out on the beginning of Advent, go ahead and order them. They are beautiful decorations for the Christmas season. Great conversation items. And, excellent gifts. And, Advent is such a special time, it is good to jump in and participate at any point. Christmas Sale Deal on Jesse Tree Ornaments - Ships for $5 anywhere in the world! Custom order a deluxe set by clicking here to contact me directly at my Etsy shop. Jesse Tree Ornament Sets - order in bulk and save! Christmas Angels - sold in sets of three! Christmas Garland - 27 feet long, easily fits a 4 foot tree! Nativity Ornament Set - Angel, Mary w/baby Jesus, Joseph, Shepherd, and Wiseman! Christmas Stockings - Now $10! Deluxe Christmas Package - includes angel tree topper, nativity ornament set, Jesse Tree Ornaments, Christmas garland! Russian Doll Finger Puppets - Great stocking stuffers! Rag Dolls - Ready for a Christmas cuddle! Christmas Table Runners - Dress up your table for Christmas! 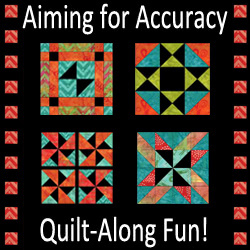 Quilts - Keep warm this winter! So, pour yourself a cuppa and enjoy a browse and shopping at the Pink Scissors Design Christmas Sale! You Leimo, Get Some Confidence!